Adobe’s Character Animator is a new player in the animation game, but it’s already made waves in the industry. It lets you record yourself in real time and use your face animate a pre-made rig, lip-sync and all. It’s pretty magical. And easier to use than you might think. As soon as I saw what this program can do I knew we’d have to make a course about it, knowing it’s going to explode (Showtime even produced an animated show with Stephan Colbert using this program). We’ve designed this course not only for aspiring/professional animators, but also for anyone who wants to use animation in their project, even if they never tried before. Adobe Character Animator levels the playing field by letting you use your webcam and microphone to drive the character performance. 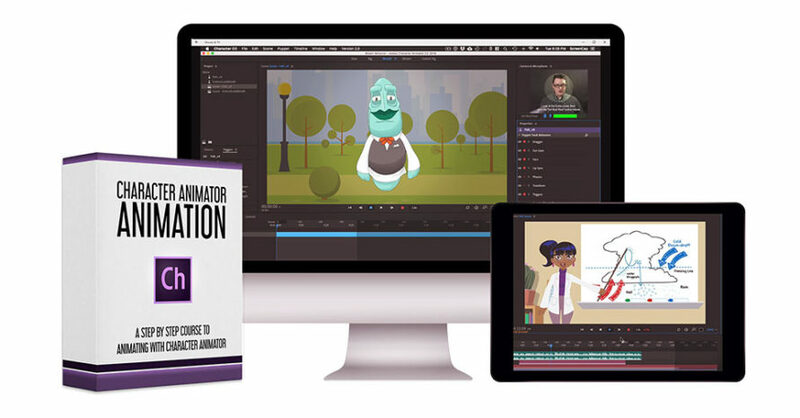 This is the EASIEST way to get started with animation, with groundbreaking technology that lets anyone become an animator. 42 HD video lessons (downloadable for offline viewing). All original files featured in the course. Custom character rigs we created, including a 2D and 3D rigs of the fish from Tasteful. 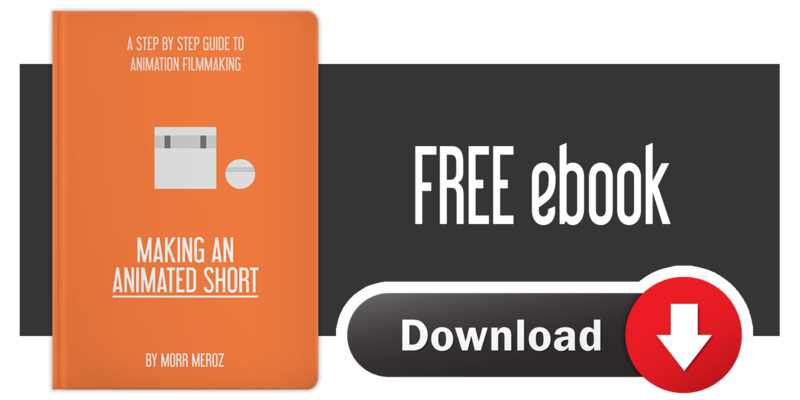 We’ll start by understanding how Adobe Character Animator works. We’ll go over the interface, and learn how layer names and tags work, as well as the triggers, physics and custom behaviors. We’ll learn the process of rigging the character’s face, including advanced eye techniques, mouth and lip-sync, jaw animation, head turns, and even create custom art styles for use with the Characterizer feature. After finishing the facial rig, we’ll cover the body mechanics. We’ll learn how to create animation triggers for body actions, add a breathing behavior, setup a walk cycle, and use magnets for interacting with objects. We’ll cover the entire process of creating a fully animated shot, through working in passes to record and adjust lip-sync, animate different parts of the body separately, changing backgrounds, adding particles and exporting a finished scene. The course will be priced the same as our other courses (4 different packages at $67, $97, $147 and $397) but it will be discounted for the first 4 days of release. As always, once the price goes up after the launch period is over, it will never drop again.